At a Tuesday night charity concert in Cleveland, Third Eye Blind performed at the Rock and Roll Hall of Fame to a sea of GOPers. But the band that rose to fame in the '90s didn't give the kind of performance audience members were hoping for — or at the very least, expecting. 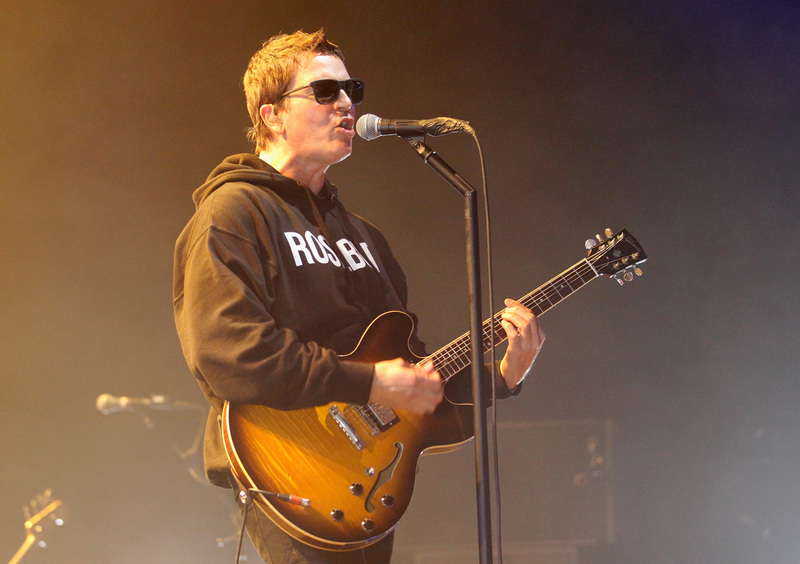 Lead singer Stephan Jenkins used the stage for political purposes instead, explaining his refusal to support the Republican party's agendas. A few audience goers uploaded clips to social media that show the mostly Republican crowd booing in disapproval, followed by Jenkins telling them “You can boo all you want, but I’m the motherf*ckin’ artist up here.” To make a short story shorter, Third Eye Blind isn't having any of what the Republican Party is throwing down, and they aren't afraid to make that clear while out on tour. Wait, Third Eye Blind is currently on tour? This charity concert was just a pit stop, but yes. According to their official website, the band has a ton of shows in the queue throughout this summer, all over California, New York, The United Kingdom, and even Japan. But don't think that every show will be a copy of this one — a troll performance that was clearly meant to stir things up and get people talking. Apparently, the only recognizable song the band played during Tuesday night's set was the 1998 chart topper, "Jumper." It's no coincidence that the band didn't choose their other hit "Never Let Me Go" instead, as, according to Jenkins, "Jumper" is a song about a "guy who jumped off a bridge and killed himself because he was gay." I'm calling this now: Stephan Jenkins for Democratic nominee, 2020. Update: On Wednesday, the band released the following statement clarifying their performance — and the fact that they have nothing against the Republican party in general.